The one interesting thing to note about the two skincare items is that they both have the word "24K" and "Gold" inserted into their names! Personally, when I think of 24K Gold, I think of jewelry. I think of really bright yellow-gold jewelry that was forcefully strung about my neck and ankles when I was a waddling 3 year old every Chinese New Year (remember those bells on anklets which rang wherever you went!?). I cannot say those are very fond memories..
Thankfully, Gold isn't quite simply used for (occasionally tacky) jewelry only! Long ago, since early ancient Egypt, the famous queen by the name of Cleopetra was already incorporating gold into her nightly skincare routine to keep her skin flawless, radiant and smooth!! If you're wondering, though, WHY NOT ANY GOLD? WHY SPECIFICALLY 24K GOLD? Well, it's because it is the softest and most malleable metal, and thus can be made into flakes. Once these flakes are absorbed by the skin, it releases active gold ions rich in trace minerals which then promotes blood and oxygen circulation, thereby improving the skin's metabolism. It also stimulates the production of collagen and elastin that is already present in skin, and increases those collagen fibers to constantly keep skin firm and youthful. 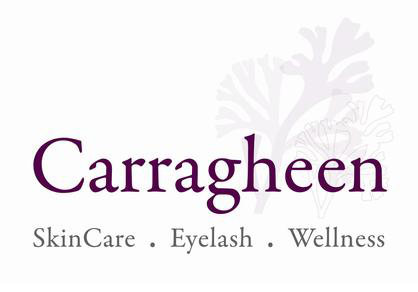 Altogether with it's high anti-oxidant power, skin is then protected from harmful free radicals and is able to defy signs of aging such as dry/dull skin/wrinkles. 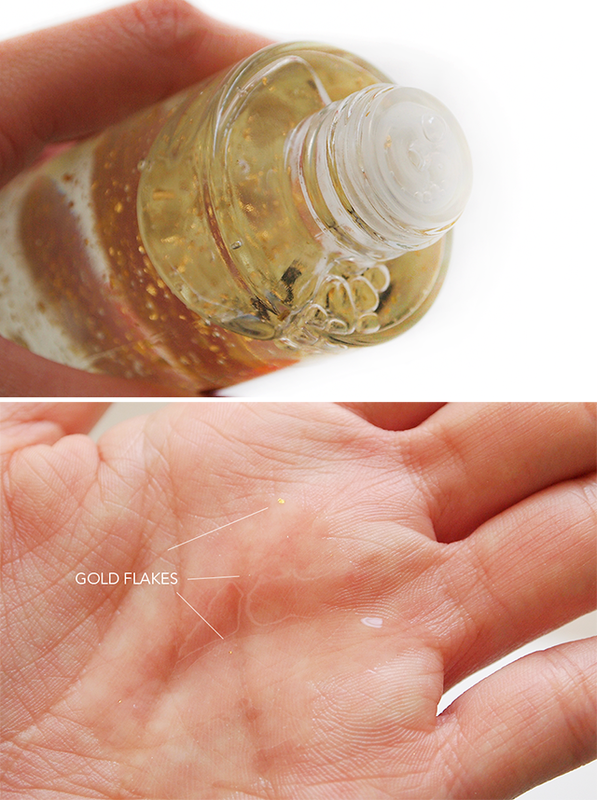 Starting with the Bio-Gold Water first, this product is otherwise understood as an essence/lotion/serum. It is as light as water (literally!) and absorbs so quickly you won't believe it. It contains a high amount of pure gold flakes up to 98%, which is greatly effective at enhancing the skin's metabolism rate and stimulating cell renewal. It is so hydrating that your skin will feel drenched in moisture the moment you pat this in, and there is absolutely no residue or stickiness left behind AT ALL! *Woohoo! * In fact, the first time I used it, I was so shocked at how quickly it absorbed that I couldn't help but apply more just in case haha! In seriousness though, you don't need to do what I did (my boyfriend calls me a Kancheong Spider! ), you just need a 50-cent coin amount (the new coin not the old one lol) and just lightly pat it into your face. It's more than enough! Apply this twice a day, morning and night. 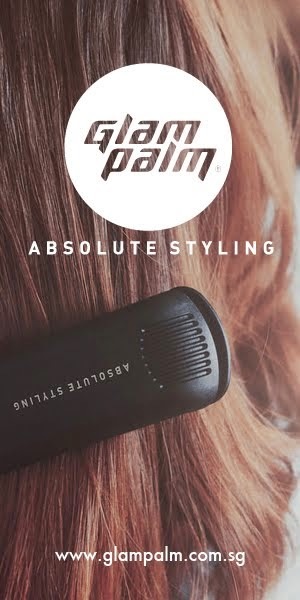 Simply after cleansing, pour out a sufficient amount into your palm, then proceed to spread it over your face and neck and slowly pat it in till fully absorbed. 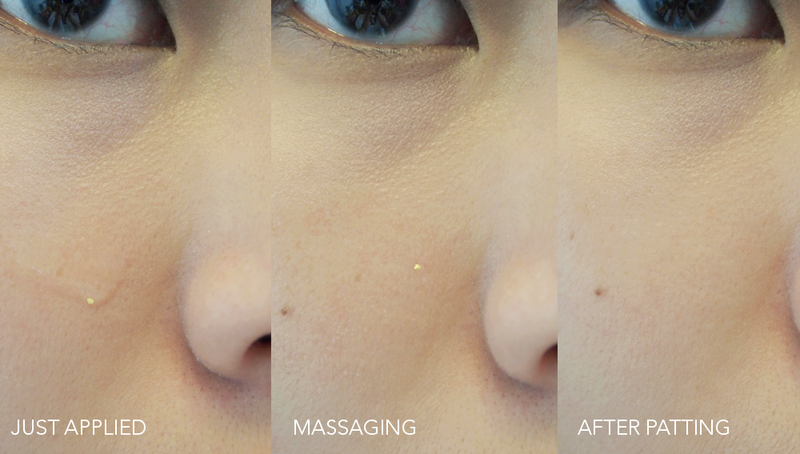 With all these factors combined, achieving your dream perfect skin is not difficult at all! 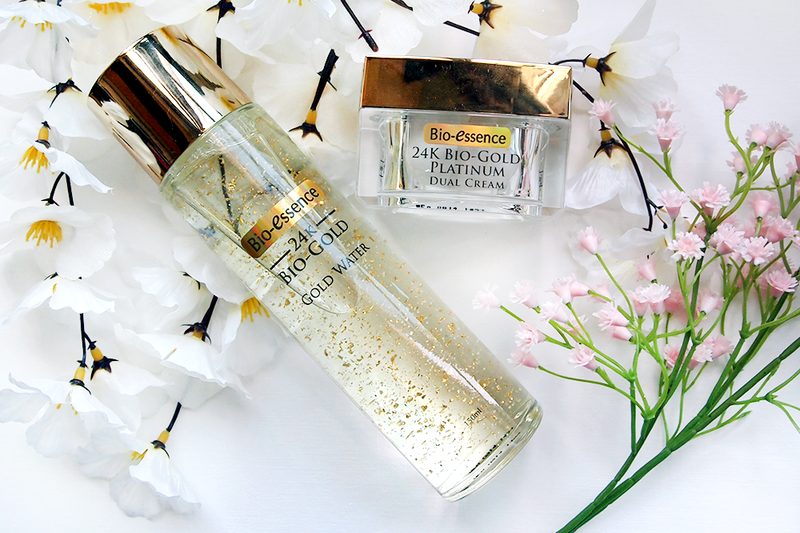 The Bio-Gold Platinum Dual Cream is truly an innovative product! 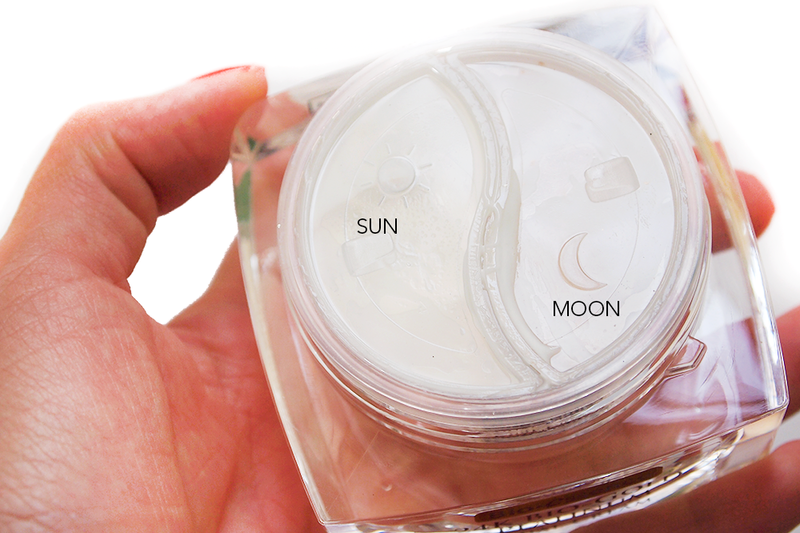 It actually combines your DAY and NIGHT cream in one single packaging, placed in two different clever compartments etched with an image of a sun and moon! This way, you get to have the value and convenience of TWO products for the price ONE! How easy will travelling be!? The best part is that you get to achieve TWO TIMES the anti-oxidant power to protect your skin from free radicals! Imagine - 24 HOURS of luxurious treatment with Nano-Bio-Platinum and sun protection of SPF 25 PA+++ in your moisturizer in the morning, and amazing anti-oxidants with 24K Gold infused into your skin at night! If your working place, especially, is air-conditioned, then this is great news for you because your skin gets to feel hydrated no matter what! Gold may have its benefits, but don't be too quick to write Platinum off yet! It is known as the rarest and most stable form of metallic element, and provides skin with needed nutrients whilst maintaining electric balance in the skin so that it cannot be harmed by negatively charged particles in the environment. 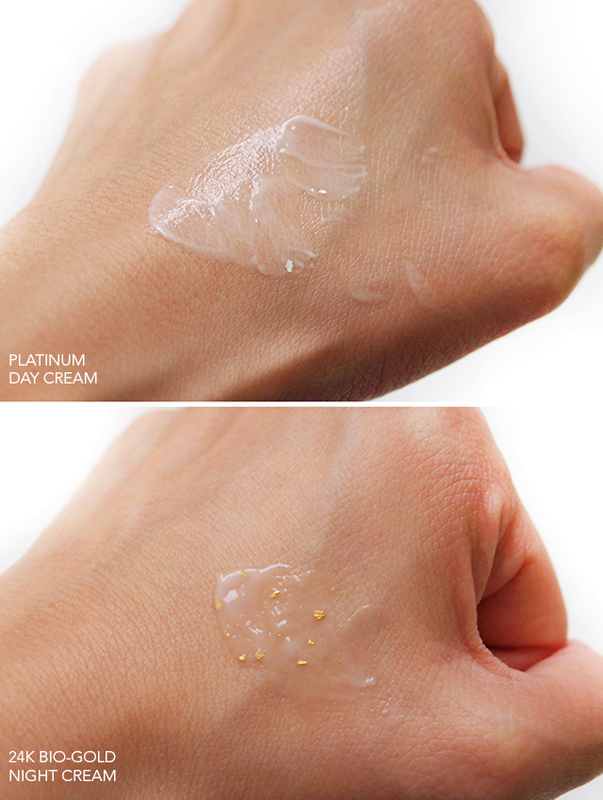 The day cream is infused with a high percentage (at 99.5%) of Platinum which helps defy signs of aging SO MUCH BETTER! As mentioned above, the two creams, used one after another, provides skin with 24 Hours of protection and treatment, ultimately boosting anti-aging properties that leave your complexion smooth, glowing and youthful! The two are a complementary duo whose effects are best shown when used together in the skincare regime (on face and neck) for youthful glowing skin. DO NOT MISS OUT ON THE NECK AREA! Also, always remember to use the Bio-Gold Water before the Cream. Since then, I've been sticking to higher end brands, going up to the hundreds in costing, which have been tried and tested to work on my skin type... but somehow always felt my wallet getting too light for my liking. Thank goodness this was sent to me to change my entire mindset about drugstore brands, and I now know why people stand by this! At a reasonable price range for items that can last a long while, I say INVEST! It not only solved my dry skin issue quickly, but also allowed my skin to stabilize even though I exist predominantly in air-conditioned environments! I literally only exist 2-3 hours a day with no aircon, so you can imagine how little that is. Despite this, my skin is never dry, only matte and comfortable! Yes! 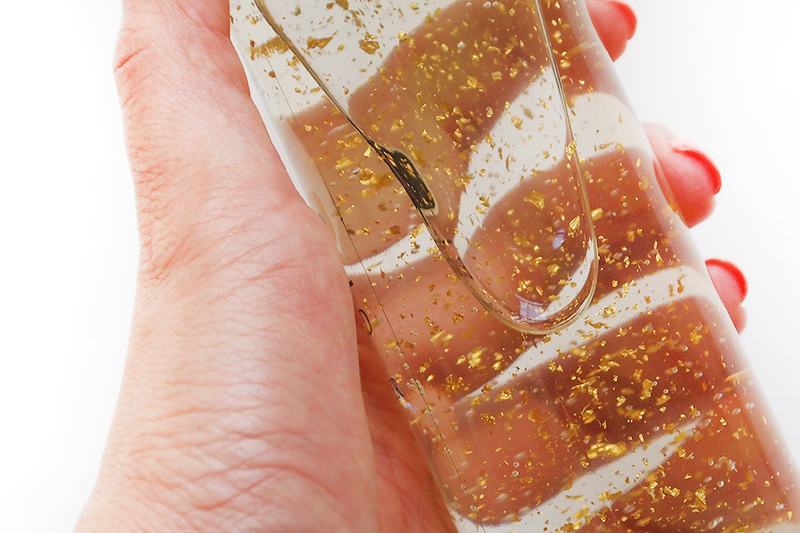 The Bio-Gold Water is truly VALUE FOR YOUR MONEY! At $45 for 150ml, that's literally half the price for 1/4 more product than SKII for those who would like similar effects with cheaper tag! I apply it to any dry area of my face, and instantly it is moisturized and baby soft! Plus the Dual Cream is so so so convenient to take with me anywhere I go, and is easily one of the best absorbed moisturizers I have ever used! If you are looking for fast-absorbing and fast-showing effects, this is something you cannot miss out on! This range is best for those in their early 20s to their mid 30s! I am in my mid-twenties already, and I really like it. 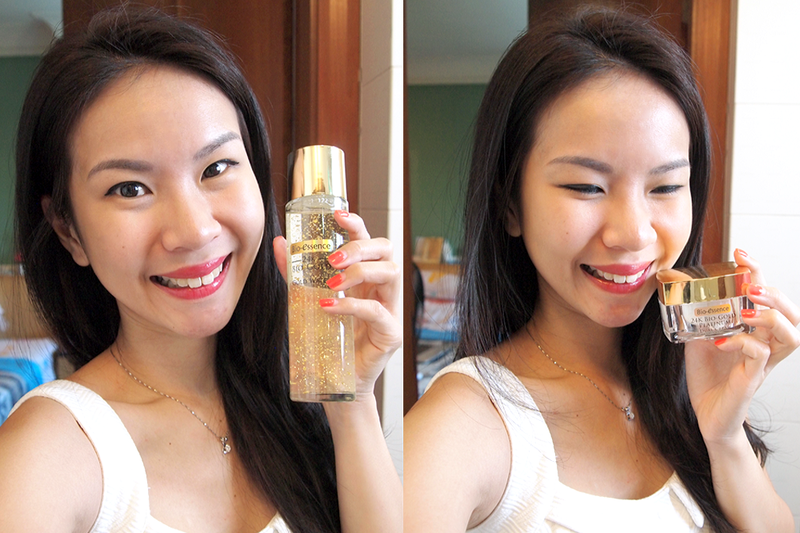 It isn't too heavy formula-wise and definitely prepares my skin for graceful aging. From the 1st October onwards, items can be purchased at Watsons, Guardian, Robinsons, John Little, NTUC Fairprice, OG, CK Department Store, Sheng Siong, BHG, SASA and selected mini cosmetic houses. Good advice n tips. I m going good for both. Thx.